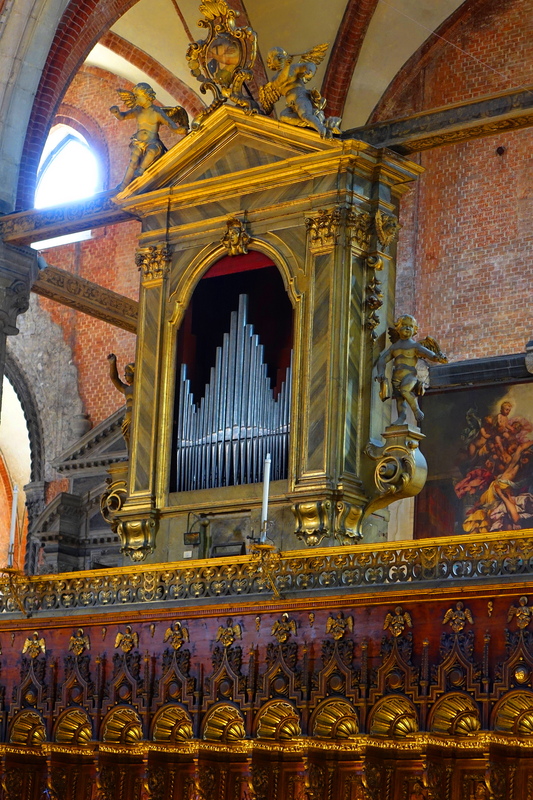 Is one of the greatest “minor” basilicas in Venice, which of course, is saying quite a lot. Building began in 1250. This is the entry way. 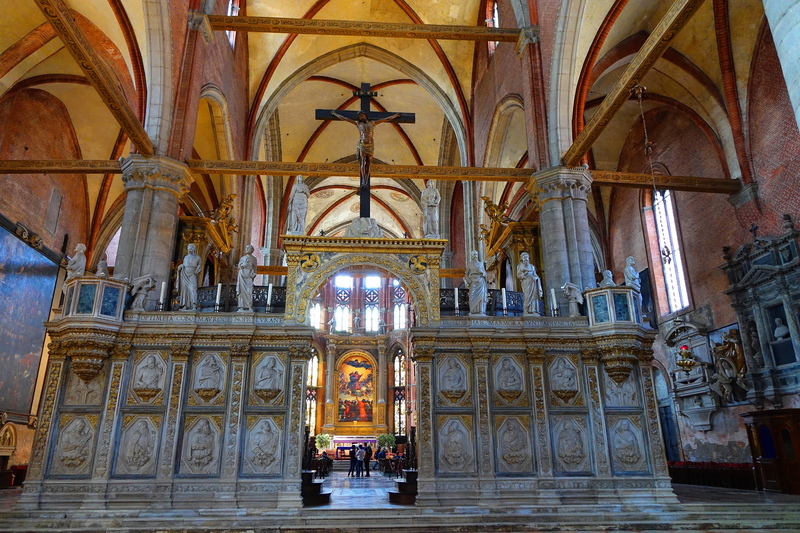 This photo, and the next, show the woodwork in the choir stalls, with the organ pipes above. 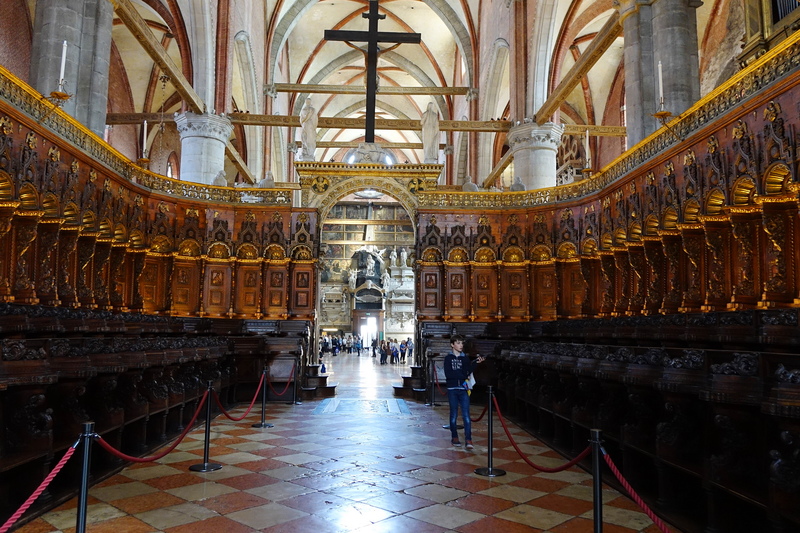 Think for a minute what it would sound like to hear the organ and the choir sing in these stalls, as you sat in the church, in say 1400. 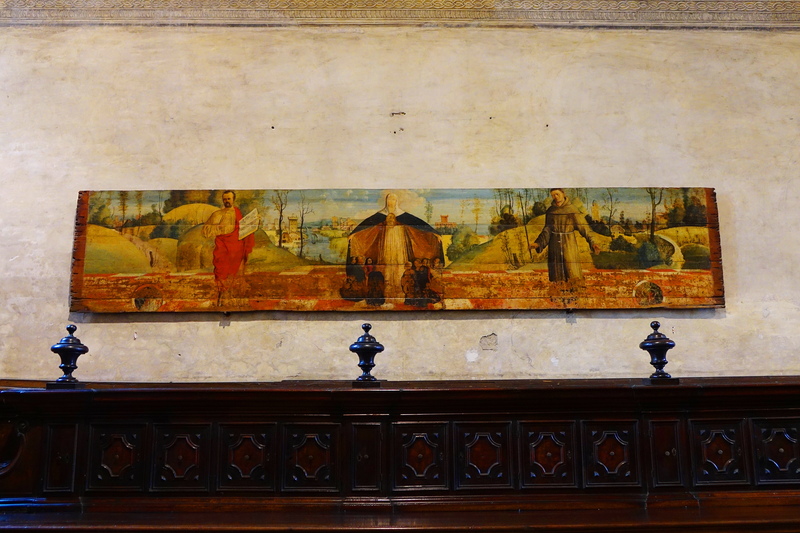 It was the influence of Byzantine mosaic in this piece that caught my attention. 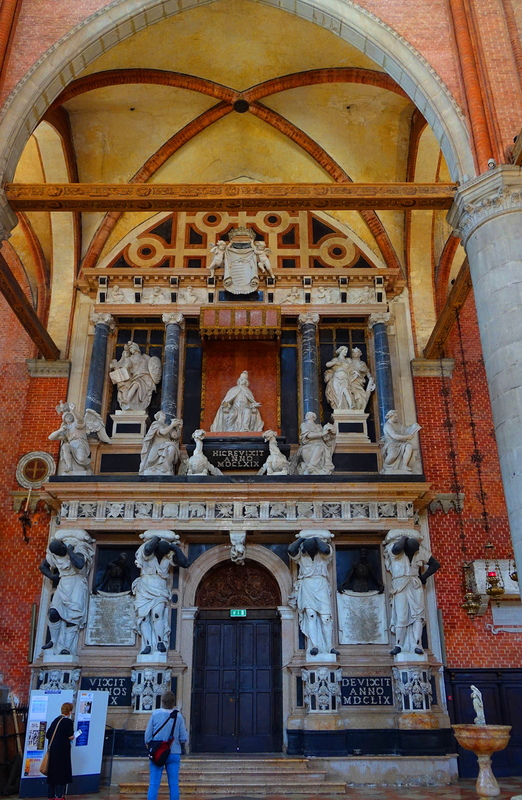 The interior is an amazing example of how architecture, art, and reverence, can create an environment that has soothed human souls for hundreds of years. 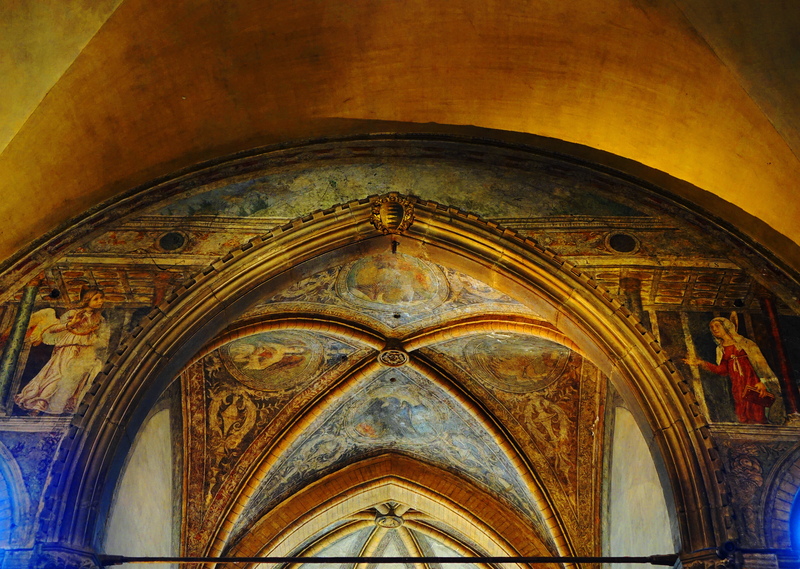 The painted, wooden art in the basilica is remarkable. 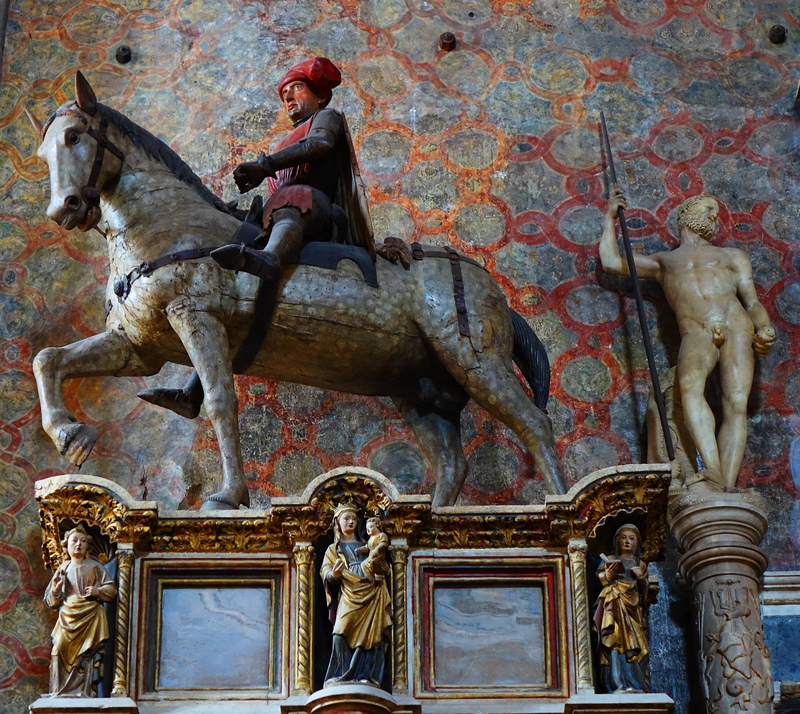 This horse and rider made of painted wood, was the first of its type ever made in Venice, and depicts a Roman Prince. 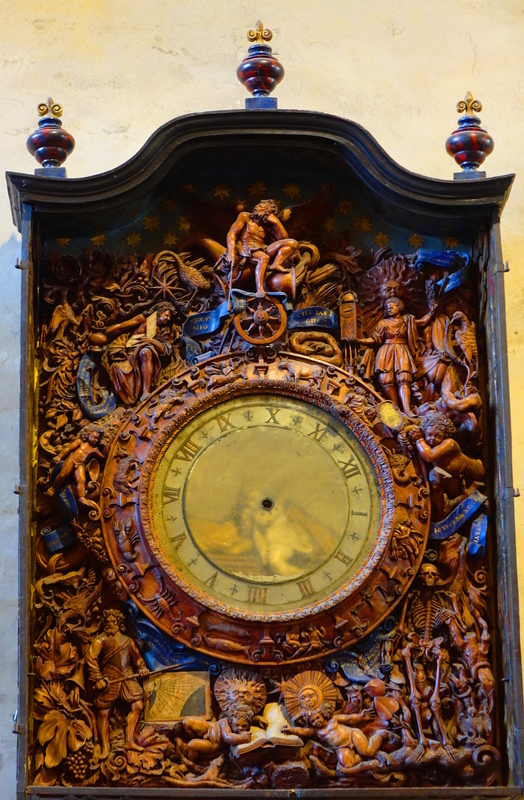 This wooden clock was carved in 1630 by the artist Stefano Panatta. 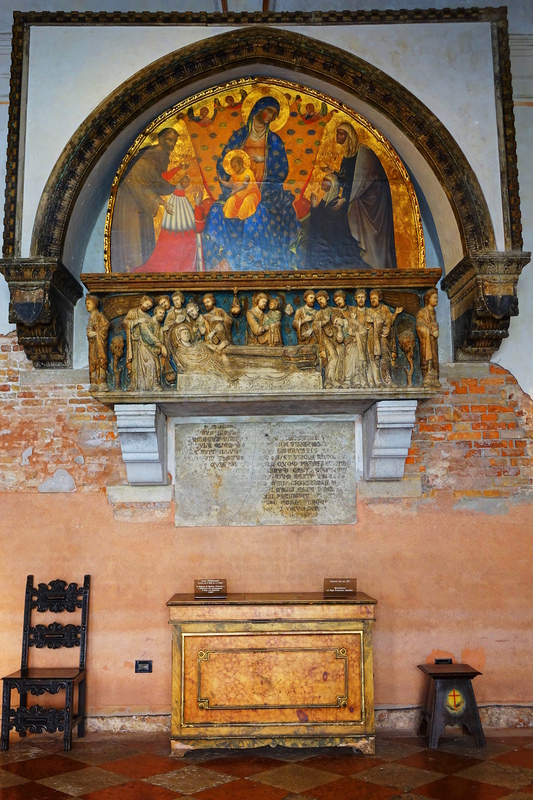 There are many beautiful pieces of very old furniture in the basilica like this pew and wood painted fresco, of unknown origin.